CEO – the person who has the right to act on behalf of the enterprise without power of attorney. The procedure for the appointment to the post of General Director is a little different from the General order of registration of other employees. 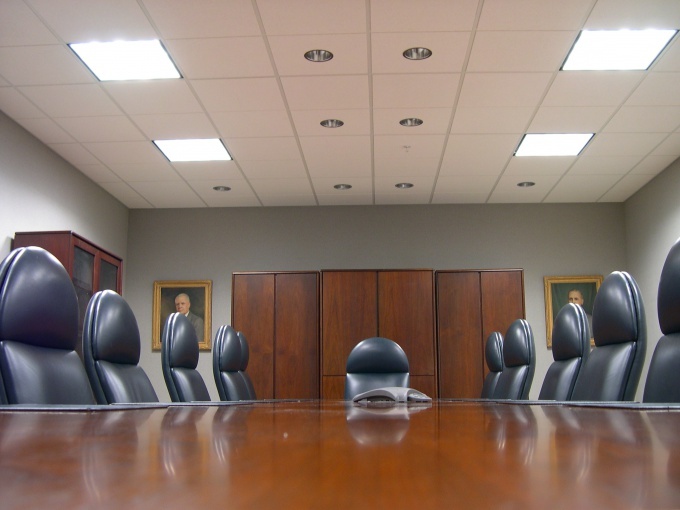 To assign the General Director to the position, use these recommendations. To the candidacy of a person for the post was considered a future CEO needs to write an application for job addressed to the Chairman of the General meeting of shareholders. At the General meeting of shareholders considers the issue on resignation of the General Director, holding the position at the moment and about appointment as the new General Director. The decision on the appointment to the post of General Director (and the resignation of former Director) recorded accordingly in the minutes of the General meeting of shareholders. The next step is to notify the tax authority about the new person who is entitled to act without power of attorney from the company. This fills in the application form Р14001 (Statement of changes in information about the legal entity contained in the Unified state register of legal entities). When filling in this form, it should be remembered that data to the tax authority served not only on the entrants face, but also on the General Director, who resigns. The applicant usually acts as the new CEO. He must assure the application form Р14001 notary. At notary it is necessary to have a completed but not signed application form and passport. Certification statement – a paid service, a notary is issued a receipt. Information about the appointment of the new General Director should be submitted to the tax authority not later than three days from the date of the decision. The application can be send by mail or submit to the tax authority in person. If the application form is not a leader, but as a regular employee, the latter should have a power of attorney. The inauguration of the new General Director, issued the relevant order. In this case it is expedient to use a uniform order form (orders) as if it were employment of other employees, and make an order with the wording "On the basis of the decision of meeting of founders take the position of General Director", to specify a Protocol number, its date, the date of entry into the position and other necessary data. Wait until the tax authority will receive a certificate confirming the amendments to the register of legal entities is not required. The Director-General may perform his duties from the day of inauguration. Personnel Department General Director, issued the same documents as when hiring other staff.